I was reminded by my grandfather many times, who I must say was a real well-groomed gentleman. Good shoes and smart comfortable clothes compliment our emotional intelligence, brain power and creativity and are ALWAYS a good investment. I never hesitate to invest in the best outfits, which last and I can look after for a long time. The second reason, why I am enthusiastic about shoes is that my grandparents, who I loved dearly, lived in a small town, called Svit, which was build by a remarkable entrepreneur and shoe manufacturer Tomáš Baťa. The third and the main motivation for shipping this blog post was that I am a strong believer of making one’s dream true and now I am extremely proud that SCG-ers and our friends: Waqas (@waqasaday) and Sidra (@sidraqasim) have shipped something remarkable in last 6 months or so. 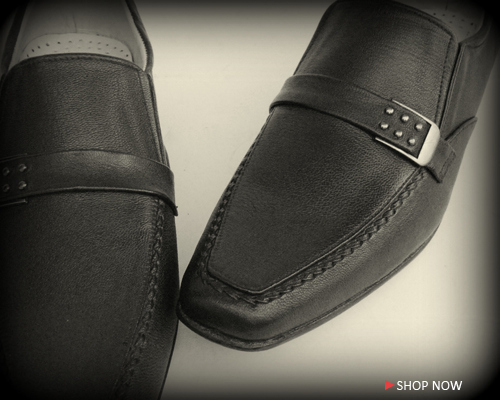 They founded, the first e-commerce site for handmade shoes in Pakistan. They got funded with as little as 10, 000 USD and in six months they have launched Hometown. Sidra’s and Waqas’s bold start up was also featured on TechAsia blog: you can read their story here. Last month they were recognized by their local government of Punjab as Innovation Heroes and they are shipping their shoes to their first customers all around the world, now. if you are a gentleman or you want to give your man authentic handmande high quality shoes, I encourage you to go for a pair from Hometown. You will have unique shoes no one else around you will wear plus you will support heroic efforts of your fellow online friends, Waqas and Sidra who are around our blog Inspiring Shipments ever since it was founded.